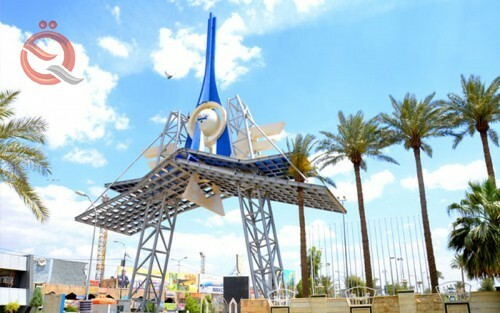 The Ministry of Commerce announced on Tuesday that Baghdad will host the 16th trade fair of the OIC member states, which will be organized by the ministry for the period from April 3 to 13, in cooperation with the Organization and the Islamic Center for Trade Development. "The exhibition aims to introduce the products, industries and services of the OIC Member States, raise the level of trade exchange, enhance investment opportunities among member countries, deepen cooperation in various economic fields among member countries," the ministry said in a statement. In addition to introducing the investment, trade and economy opportunities in the host country and opening up new markets for the products and industries of the participating countries. "The exhibition offers business owners and institutions many opportunities to cooperate at the private sector in various fields, such as finding new markets for their products and services, establishing joint ventures, providing financing methods for intra-trade, identifying opportunities for cooperation in industrial projects and expanding trade opportunities between countries. Islamic '. The Islamic trade fair is held every two years in one of the Islamic countries, and the participation of most Islamic countries in the wings of independent internationally, and it is hoped to attend a large number of ministers and ambassadors in Islamic countries in addition to a group of businessmen, traders and industrialists from Islamic countries. Trade Minister Mohammad Hashim al-Ani called on the trade ministers of the Organization of Islamic Cooperation (OIC) to participate in the 16th Trade Fair of the Organization of Islamic Cooperation (OIC) during a speech at the 34th session of the Standing Committee for Economic and Commercial Cooperation of the Organization of Islamic Cooperation (COMCEC) Turkish.